There was no description so, I created a simple Powershell script that attempts to scrape the title of relevant KB articles. It seems to work OK, so posting it here. Then simply use $result. E.g. I received my Systemax machine a couple of days ago. It came with Windows 7 x64 Home Premium Edition. I downloaded Windows 7 x64 SP1 from MSDN and installed it. 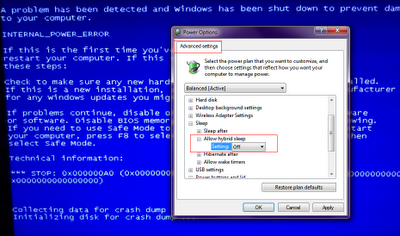 Last night, I wanted to put it into sleep and suddenly got a BSOD "Internal_Power_Error"
At work, I use RSAT. So reading it in Directory Service blog that it was NOT possible to install RSAT after SP1 was already bad news for SP1, this just added to that bad taste. There is documentation here to troubleshoot Internal_Power_Error. Interestingly, first param stops at x08 while in my case it was x09. 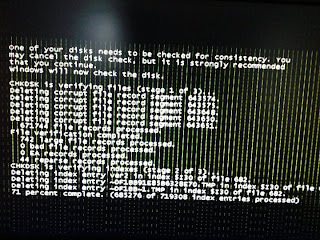 The other interesting bit was that crash dump file was not generated. This hotfix is supposed to fix that. I installed it and noticed that I could now put the machine into sleep. Problem was that it did not come back up from it. 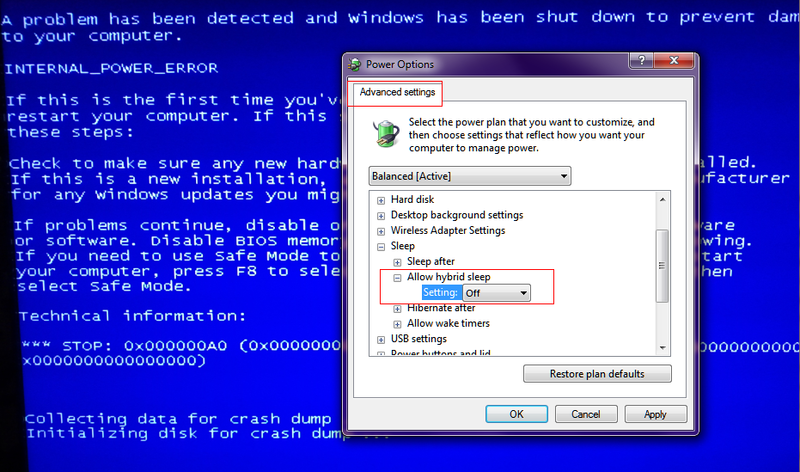 Another suggested workaround was to disable "Allow Hybrid Sleep" in Power Options (see screenshot above). I tried that and and also changed the Bios Power setting so that 'hitting "space bar" would Power up the machine'. That seems to work for me. I can now put the machine to sleep and bring it back up by hitting space bar. nVidia GTX 460, but which one? A couple of days ago, I mentioned that my eVGA GTS 8800 512 had gone corrupted. Falcon Northwest techs replied to my e-mail (I love how informative and friendly their responses are) and confirmed that eVGA tech recommendation on GTX 460 would be a great replacement, it would fit in just fine if I got with a <9" card and my Power Supply Unit (PSU) should be able to carry the load just fine (It's 500Watts). So, I started reading reviews on these cards. This review from GuruD3.com is a bit dated but talks in great details about several GTX 460 cards and is a good read to understand the landscape. Maybe conventional wisdom would dictate I go with a different brand than the one I had problem with. I did not. I loved how quite the card was. The fact that Falcon NW guys chose eVGA over others gave me more confidence. Plus, there is no such thing as never-failing-hardware-manufacturer. For example, I liked the output options of PNY video cards and used several in the past but most of them developed fan-noise after a year or two. So, I gave up on them. If a company is using cheap mats and lowering the quality, they lose in the long run. PNY is still around, so maybe it was just that series, or it was my (lack of) luck. I am sure there are millions of PNY users out there with no issue whatsoever (and in full disclosure I still have a PNY card running on one of my much less used PCs after 9 years - oh yes sometimes I have to endure the fan-noise but it goes away after a while!). Again, I wanted to go with a card, that is silent, performant and has good warranty. I learned that eVGA has lifetime warranty on some series (oh I am sure I will remember to register this time). 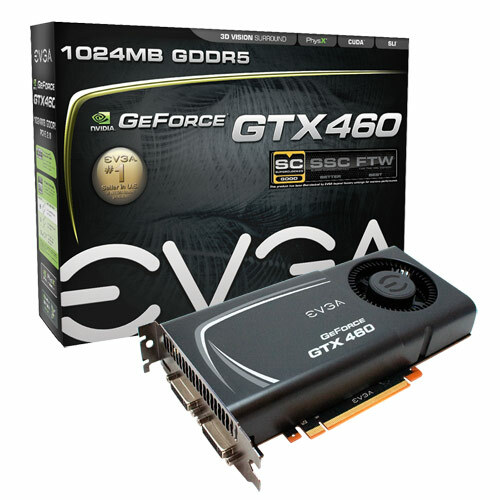 Even these did not make the choice easy, as there are several eVGA cards that fit the bill. Then I decided that I did not want an overclocked one, it's not need that for my use-case and I believe it taxes both the system (need more power / more heat) and the life of card. Finally, my choice is a non-overclocked eVGA GTX 460 1 GB card in the -AR series from buy.com which seems to have the best deal (hmm, it's really annoying me that they have a typo in the tile. It says "INVIDIA" instead of "NVIDIA". How could they miss that???). 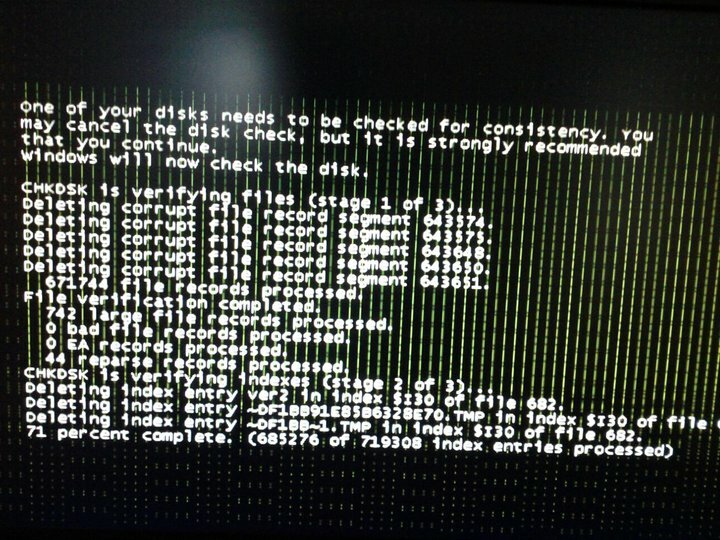 I never thought I would say that but after my PC froze today, I found myself looking at a garbled boot screen and realized my video card had gone bad as well as bad sectors on the boot disk. If this was a BSOD, it would probably be a driver issue which would not be too hard to fix but now I have to replace the video card in the minimum. Bah! I sent an e-mail to Falcon Northwest support to ask what would be a good replacement card. Because of the shape of Fragbox, I want to make sure I buy a card that would fit in seamlessly. Then, I started looking for a replacement PC (Cannot keep Cho'gall waiting :p). Ever since I had issues with my Fragbox last year, I had that on the back of my mind. I was thinking about new Talon from Falcon NW. It's pretty decent and had great reviews. This time though, I acted like an impulse buyer and did all my shopping in about two hours. 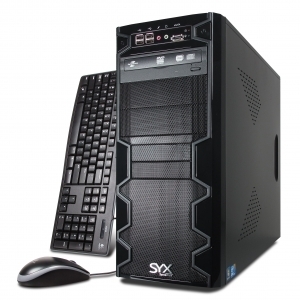 Here is what I ordered: Systemax Sys CrossFire. Looking forward to it.